When purchasing your first home we know you are going to be on a tight budget. Moving can be expensive and although you want good quality furniture, affordable furniture is just as important. We've gathered some great starter furniture for your new home. This furniture is great quality and can easily transition in your next home, making them a long-term investment after you move. If you decide to change locations or upgrade your furniture these pieces will still be great in your basement or guest bedroom. Here are some great deals you can’t miss out on for furnishing your first official space. Perfect for your first bedroom the Oxford Transitional Queen Sleigh Bed is only $799. This bed is a timeless piece with a panel headboard and bun feet that adds a traditional touch. In the peppercorn gray finish, you can dress up or down this transitional piece with your favorite pillows, comforters, and blankets. For your convenience this bed features two USB charging ports so you and your loved ones can lounge while using your electronic devices. Made from poplar solids and cherry veneers this bed gives you a high quality product with a lot of style. Made from crafted solid American grown maple the American Maple Queen Bedroom Group is a great starter bedroom set for your home. The Queen shiplap bed is a steal at the price of $699. Inspired by a mix of farmhouse and cottage style homes the collection features maple wood glides and snag free smooth interior drawers with an eight-step finish. The bedroom set comes in four different type of finishes, different sizes, and available with footboard storage. Inspired by Asian influences this sophisticated Ridgeway Dining Table is in a lush smoke Anthracite finish. You will dine like royalty on the double pedestal table that has rectangular metal shapes for the base. The table features a removable middle that pulls out a twenty extension leaf. Pair the dining table with the slightly tapered chairs with a wide slat back and your friends and family will be dining in style. The woods mixed with metals will give you a modern dining experience at the great price of $899. It’s your first home and you want a sectional that can seat all your guests for your big housewarming party. 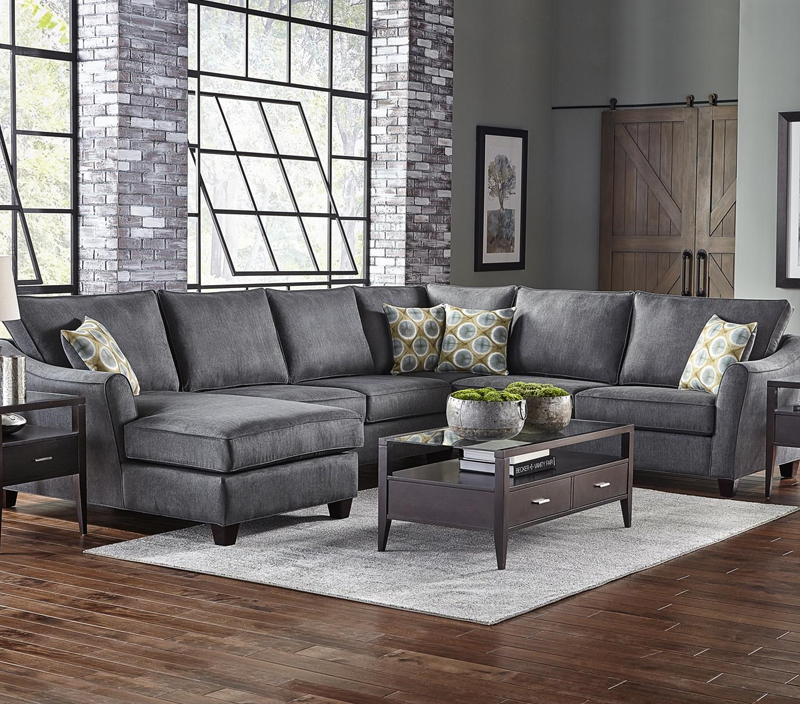 One of our bestselling sectionals is The Fleetwood Sectional. This is a great piece to own for your first home at its spectacular price point of $1599 it gives you a great look with lots of seating. Its modern look is paired with plush padded cushions for a comfortable seat that is easy to sink into. This sectional is available to be customized in any configuration to best fit your space. The Mason Sofa is a contemporary piece that is perfect if you want to decorate your living room on a blank canvas. At an amazing price of $599 you can customize your cover and fabrics to make this piece your own. ts three-seat cushion design offers a lot of space for seating in its small frame. This smaller size sofa is great for downsized living but doesn’t comprise on its comfort or quality. This is an exciting time in your life and you want to make sure you have the perfect furniture to grow in as a family. Never compromise style for quality. Get the look and the great price for your first-time furniture purchases. Shop Sofas, Beds, dining sets and more at www. Belfortfurniture.com. We guarantee the lowest prices around. With over 100,000 square feet of on display furniture, you will never leave Belfort with feeling anything less than inspired.